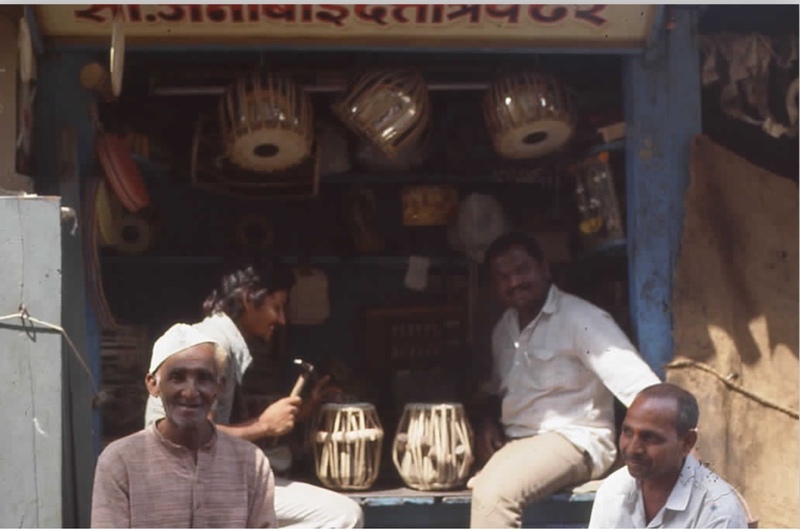 I found a picture of the shop - anybody with Hindi skills? Brands do not really mean anything in these matters. 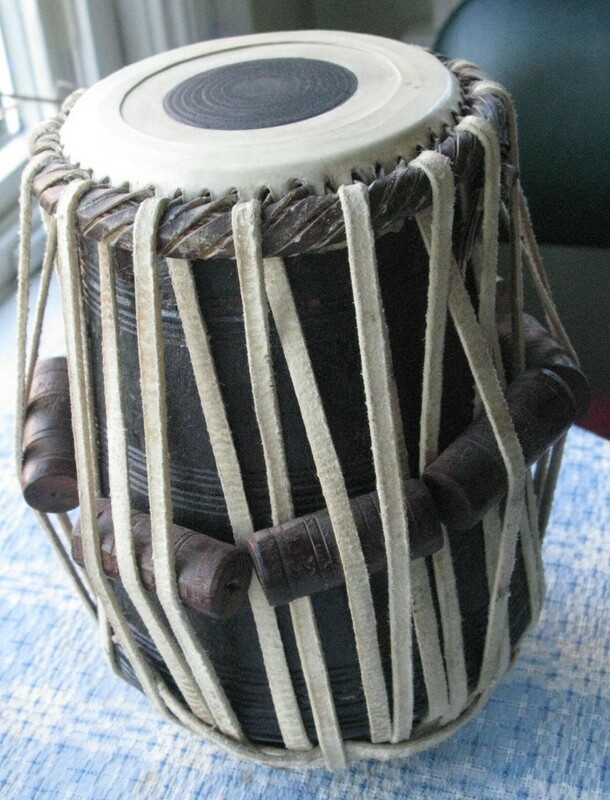 Every tabla has to be taken on its on merits. It is difficult to asses it's value from a photograph. 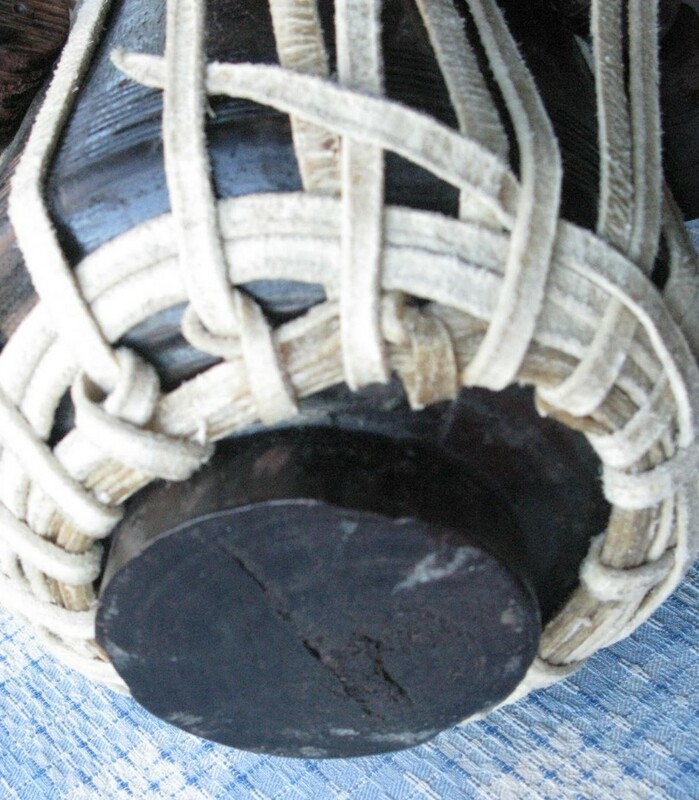 The problem is that there is a tendency for the the rawhide portions to degrade over time. Even if you have never played it, there is a tendency for the rawhide sections to just sort of rot away after a quarter of a century. But the only way to assess it would be to actually put your hands on it, tune it up and see what condition it is in. There is also the ever present question of whether the head buzzes. From the picture I am a bit distressed by the off centre nature of the kundal (the rawhhide ring at the bottom) This may not be any problem, but it could also signify some serious problem with the head. I do not know what city or country you live in, so I do not know what the local markets are but in the US it would not be worth very much. If it has been the whole time in a very dry climate it might have retained its quality well. In which case it might have a market value possibly as high as $100-$125. if it has spent the last quarter of a century in a place that has high humidity, or if it has other problems, then it is essentially worthless. Most likely it has a street value somewhere in between. thanks David. it plays fine, sounds good. it's at C#, no buzz. I'm only thinking of selling it because it's too small for my hands, figure it should be getting played. Agree with comments above about value. Tablas are not really valued based on their maker unless they also sound good and are in top-notch condition. Something like this is 'or best offer' imho. To answer the original question - The text at the top says "Sau. Janabai Dattatray Dhere" (Mrs. Janabai Dattatray Dhere, name of the owner). A quick google search shows the shop in Dadar.